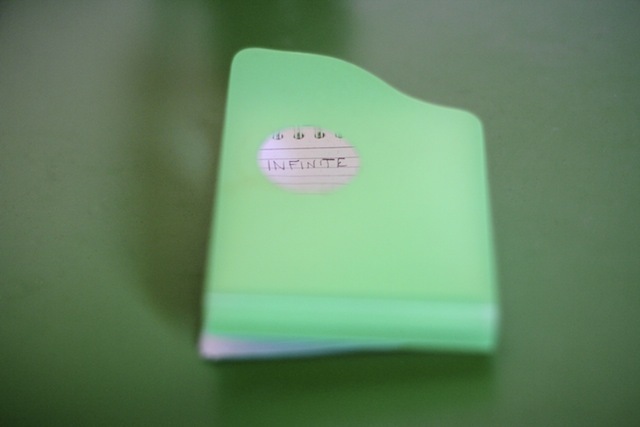 The word “Infinite” is the main character of this photo; written on my green scratch pad, left on a green desk. Infinite, like the endless possibilities into the green screen, commonly used in video making. In this endless container the only limit is our imagination, our ability and sensibility of choosing the content.